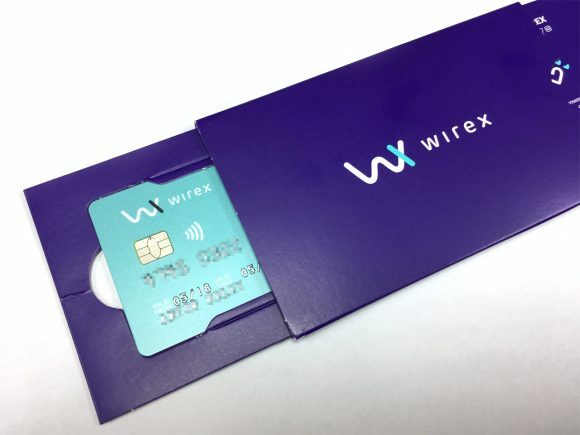 The service E-Coin that is offering users a Bitcoin-powered Debit Card and an online Multi-Sig wallet is apparently going to be rebranding to Wirex. 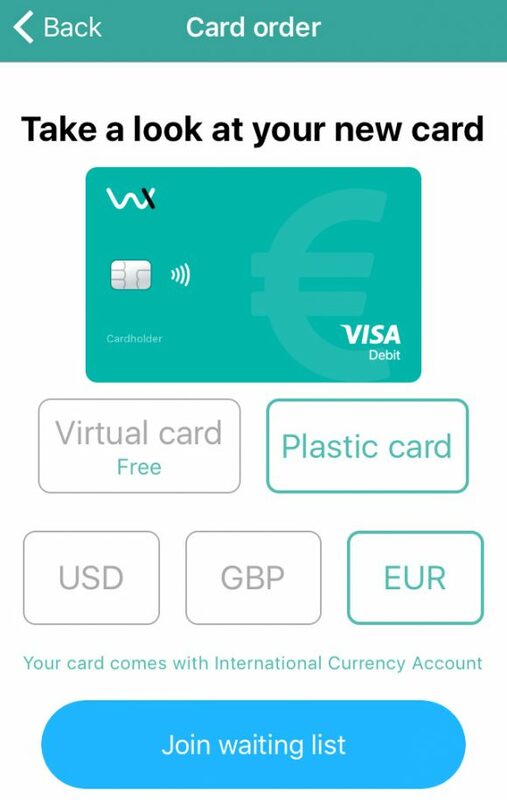 So in the future instead of E-Coin debit cards you will be getting a Wirex Bitcoin-powered debit card, but with the rebranding we are also supposed to get new extras including a dedicated mobile applications for Android and iOS. Meanwhile the old E-Coin website is still fully functional and is still the way to use your Bitcoin online wallet and to control and manage any virtual or physical Bitcoin-powered debit card if you have already have one. 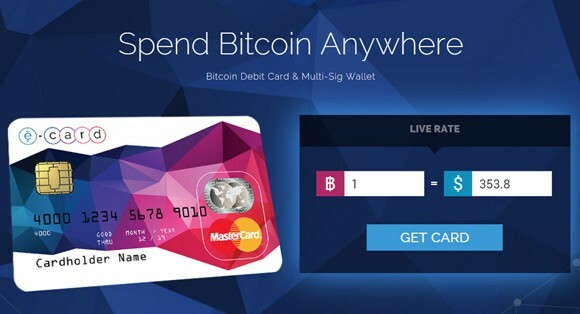 Last year we have reviewed the service and even got our own physical E-Coin Bitcoin debit card issued to try it out, you can find our first impressions using the card here. 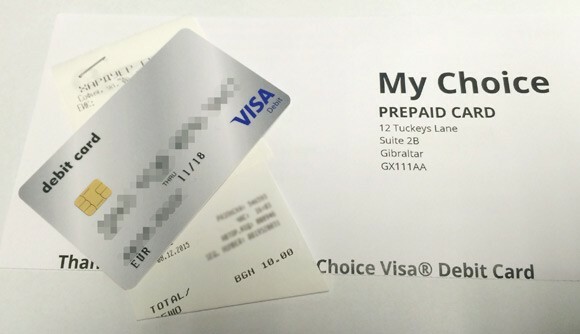 We should note that we got an unbranded Visa card issued from My Choice Corporate and apparently the new cards should be Master Cards branded as Wirex Card and be issued from by Wave Crest Holdings. We will have to wait a bit and see that when the rebranding is finished and E-Coin fully transforms as Wirex, something that is currently going at the moment. As we have already mentioned E-Coin is an online multi-sig wallet for securely storing Bitcoins as well as a service that allows you to get a Bitcoin powered debit card. The Bitcoins you have in your balance however are not directly available for use through your Bitcoin debit card, you need to first load your card by essentially exchanging Bitcoins for the fiat currency of the card. 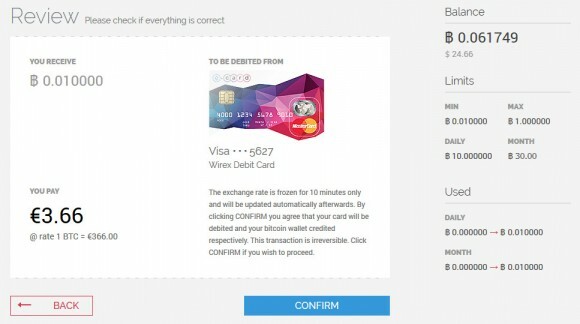 It is also possible to to load money directly in the Bitcoin debit card with a bank transfer, but up until recently you had no option to “unload” money from the card back into your Bitcoin wallet from within the service. Now you finally have to option to Buy Bitcoin with the balance in your card, so you can move BTC to fiat and vice versa any moment you like, so you can even profit “trading” when the exchange rate changes. Of course for trading you would prefer to go for an exchange, but it is convenient to be able to get any unspent EUR from your Bitcon debit card back to Bitcoin if you are not going to be needing them for the moment.